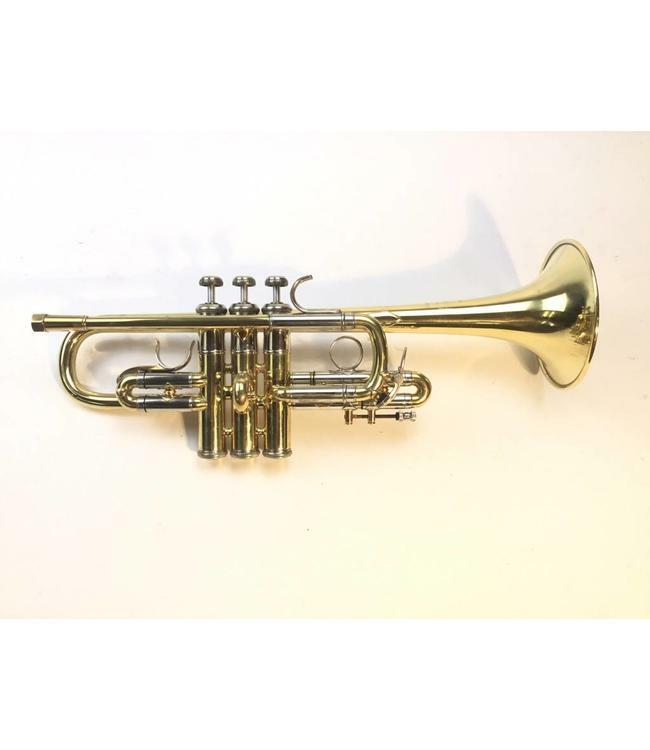 Used Bach model 304 Eb ONLY trumpet in lacquer. s/n dates production to late 1960s, instrument includes 2-piece valve casing, Corporation bell and s/n stamped on valve barrels. Instrument is in good condition with surface scratching and low valve compression. Includes case.